For travelers who want to take in the sights and sounds of Bali, Our Villa is the perfect choice. The excitement of the city center is only 1 km away. With its convenient location, the hotel offers easy access to the city's must-see destinations. At the Villa, the excellent service and superior facilities make for an unforgettable stay. The hotel provides free Wi-Fi in all rooms, 24-hour security, daily housekeeping, taxi service, express check-in/check-out to ensure our guests the greatest comfort. Step into one of 6 inviting rooms and escape the stresses of the day with a wide range of amenities such as television LCD/plasma screen, clothes rack, complimentary instant coffee, complimentary tea, free welcome drink which can be found in some rooms. Whether you're a fitness enthusiast or are just looking for a way to unwind after a hard day, you will be entertained by top-class recreational facilities such as outdoor pool, massage, pool (kids), horse riding, garden. 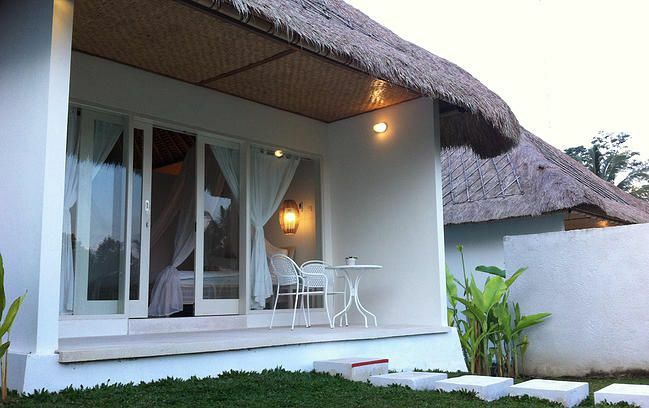 The Villa is your one-stop destination for quality hotel accommodations in Bali.